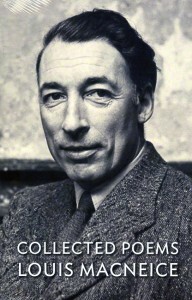 Louis MacNeice was an early 20th century poet who was well-known in his time but is lightly read today in the U.S. David Orr makes the case for an adaptation in this perception. Read the full New York Times Book Review here . . . When was the last time you spent an entire day writing a letter? Suzanne Marrs has edited a collection of letters by two writers for whom this must have been a regular occurrence. In an unrelated essay on photography, A.O. Scott wrote that “. . .while the literary canon has made room for a handful of diaries, letters and newspaper articles, these exceptions tend to reinforce the exclusion of vernacular forms from the pantheon of art (NYT Magazine 6 May 2011). 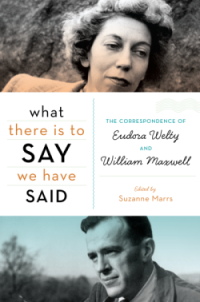 A collection of letters between Eudora Welty and William Keepers Maxwell, Jr. (with an occasional letter from Maxwell’s artist wife, Emily Gilman Noyes) has been curated by Suzanne Marrs. While the collection on the whole belongs firmly in the aforementioned vernacular, to fellow swimmers in that drought-stricken pond known as the literary world, the collection offers a unique dialog between two able practitioners. Editor Marrs reprises James Watson’s belief that such letters fit in the space between art and life, and this collection reaffirms that conclusion. What is most remarkable about the dialog is not extraordinary prose, though there is some of that, and not the events in their separate lives, which spanned two long-lived and productive careers. Rather it’s the civility, the steadfast tone of mutual encouragement and affection. When William signs off with “Devotedly” (26 December 1960), it strikes the reader as precise and faithful to the nature of the correspondence read up to that point in the collection. Eudora and her brother Edward drew dialogue balloons above photographs on magazine pages and folded the pages so that the photographs could not be seen. Then they exchanged pages, wrote remarks in the balloons, and shared the results” (p. 467). Eudora first met newsman Jim Lehrer in 1984, and he quickly introduced her to his colleagues Robert MacNeil and Roger Mudd. Late in 1989, as a reporter for The MacNeil/Lehrer NewsHour on PBS, Mudd interviewed Eudora about the photographs she had taken during the Great Depression. An extensive collection of these images, titled Photographs, had just been published” (p. 476). An eBook also permits search. As the arc of these two lives becomes clearer in succeeding chapters, a desire to revisit mentions of certain events, places, opinions and literary works arises. Old school thumbing through previous chapters is quaint but inefficient and error prone. Devotees of the cult of the New Yorker magazine where Maxwell worked as an editor will find much to their liking, as literary figures major and minor make their way across its stage and the magazine’s host city. As a result, the letters occasion appearances by John Updike, Bernard Malamud, Rachel Carson, William Matthews, Katherine Ann Porter, Howard Moss, Seamus Heaney, Frank O’Connor, John Cheever — well, only John Leonard would list them all in a book review. The particulars surrounding the editorial process and the publishing world of that era (Maxwell: “I didn’t like the jacket copy that Knopf sent and so rewrote it”) will also be of interest to cultists. The letters are instructive for what they do not mention, or at least mention little. Their careers coincided with the space program, the personal computer, the Hollywood blacklist and race riots. Here and there are snippets of those events (Welty wrote “Where is the Voice Coming From” after the Medgar Evers assassination), but the sense of small pond-ness is everpresent. For this they can be forgiven, though less so Marrs’ effusive characterization of their intellect.
. . . the lack of self-absorption, the embracing of experience in all its complexity, the capacity for love, the generosity of spirit, and the ability to face loss and death — these constitute the invisible signature of Welty and Maxwell, signatures that are as powerfully present in their letters as in their fiction (p. 14). Please forgive me backsliding into not writing. The book is published by Houghton Mifflin Harcourt ISBN-10: 0547376499. 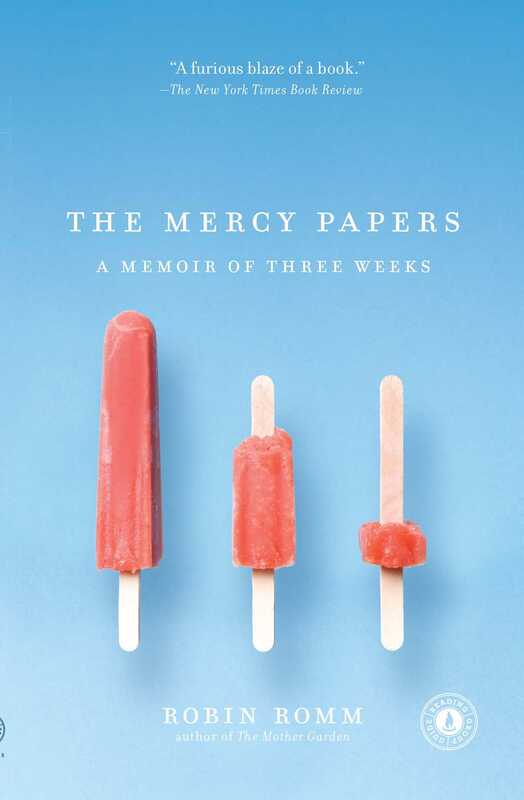 In the echo chamber of pain and tears Robin Romm @RobinRomm inhabits in The Mercy Papers (Scribner, 2009), there are other characters: father Richard, boyfriend Don and a mother, Jackie, “who was the first to notice when the crocuses bloomed each spring,” even after she had been diagnosed with metastatic breast cancer. And other characters, too. But Ms. Romm’s shrieks are so piercing, so monstrously realistic that nearly all other voices are drowned out in this narrative.